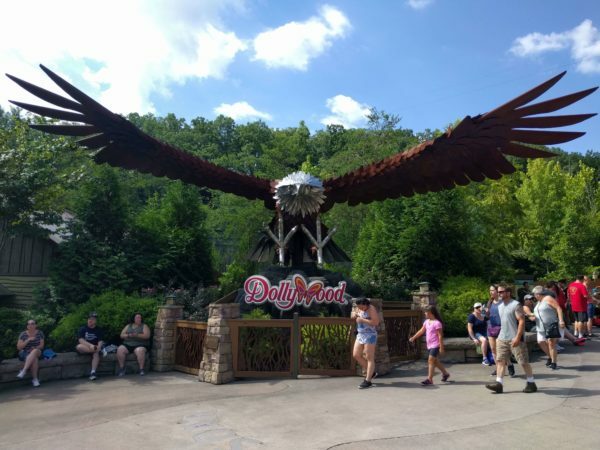 I just finished my first ever visit to Dollywood, as part of my East Coast coaster road trip. 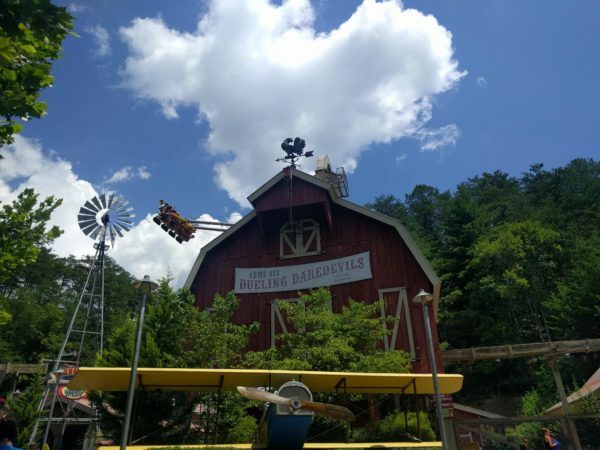 Dollywood has long been on my list of parks to visit, but I actually didn’t know TOO much about it before visiting (aside from all the tips our own resident Dollywood Insider gave me and all the great ones you guys supplied). That being said, here are a few of my thoughts and reactions to Dollywood as a first time visitor! 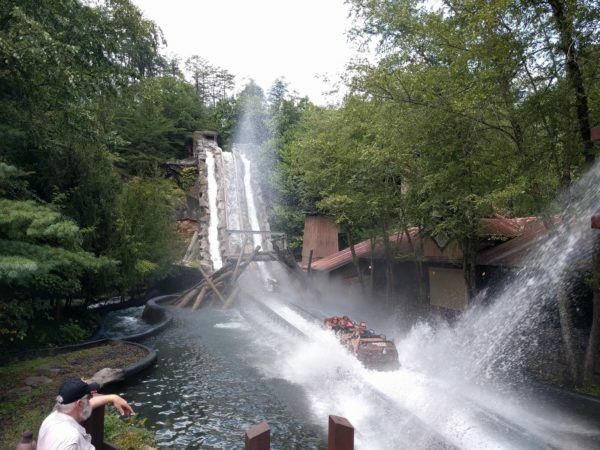 It’s rare that I visit a park where I get off every new coaster and think, “yeah, that was pretty fun!” The last new park I visited achieved the feat (that was Kennywood), and now Dollywood has done it. Thunderhead was one of my favorite GCIs (despite being one of the oldest there is), Tennessee Tornado may be the best Arrow Looper I’ve ridden, B&M Wing Coasters are always good and Wild Eagle was no exception, both Firechaser Express and Mystery Mine were fun and unique rides, and even Blazing Fury offered some amusing dark ride elements (we won’t talk about Lightning Rod…). 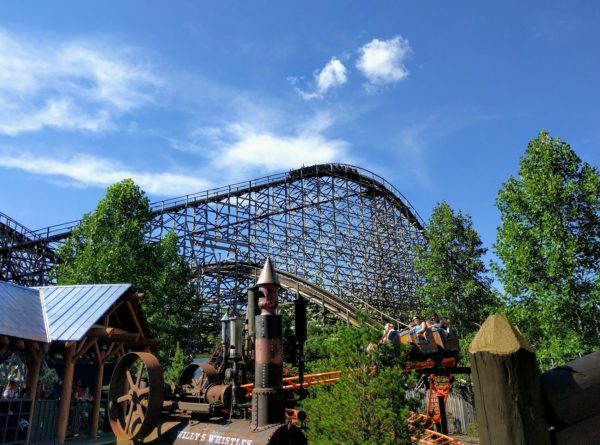 I don’t know that any of them would make my list of favorite coasters, but I’d happily take multiple rides on all of them (and did). 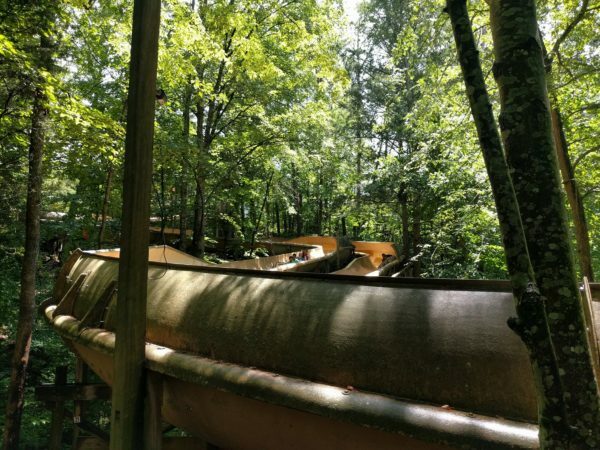 I guess I knew Dollywood was up in the Smoky Mountains and surrounded by nature, but the park had surprisingly serene feeling throughout it. It just felt like an oddly quiet park. Maybe it was all the woods surrounding it, or that the big hill in the middle blocks some of the park noise, or that the only music was pretty unobtrusive country music, but whatever it was it gave the park a sense of peace. The place this was most stark to me was always waiting for my Wild Eagle train to come into the station. 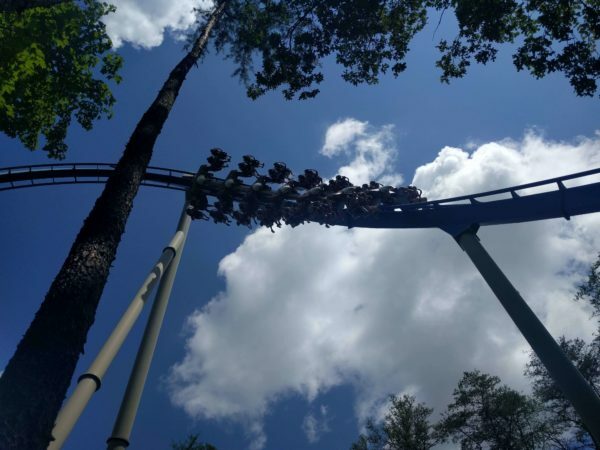 I don’t think I’ve ever been sitting on a coaster and had it feel that serene. I imagine the setting was even nicer before the land clearing started for Wildwood Grove, but I bet it’ll look great once it’s finished. 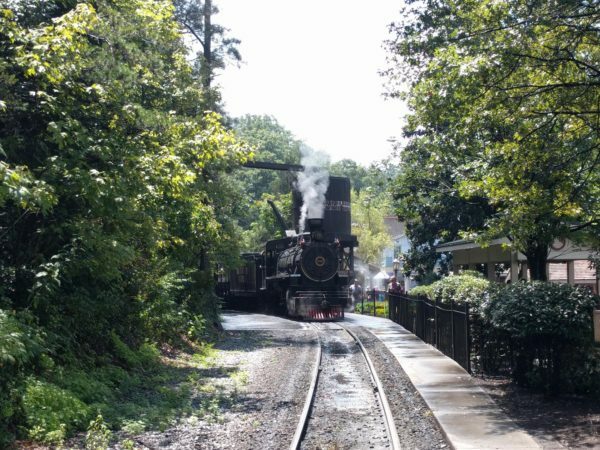 Definitely the most scenic theme park railroad I’ve ever been on. Maybe my favorite thing about the park was the quality of the operators and operations. First, I love that it’s expected that you hand your belongings to the operator and they put it in the locker or cubby. Second, I can’t think of a ride (other than maybe Mystery Mine) where trains stacked up in the station at all. 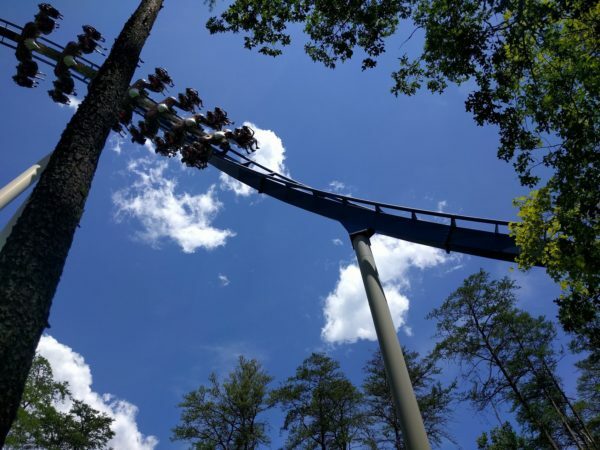 Wild Eagle, Thuderhead, Firechaser. On all of them as the train in the station was pretty much leaving as the other arrived. I can’t imagine how often Twisted Colossus would actually race if the operations were like this everywhere. 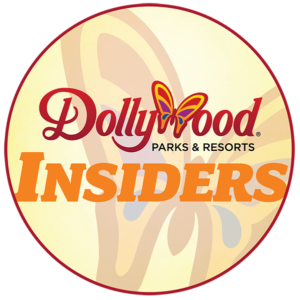 Cheers to you, Dollywood ride ops! 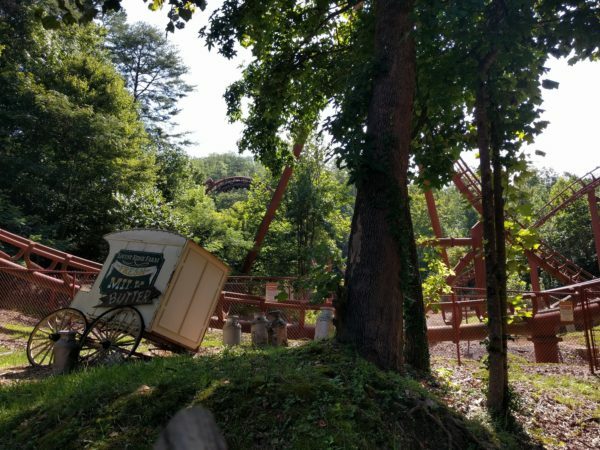 I loved little details like the “butter” cart alongside Tennessee Tornado. 5. But, where are the dark rides? I guess I had it in my mind that because Dollywood is known for being a family friendly park, there would be a fair number of dark rides. But, as best as I can tell, there aren’t really any unless you count the coasters. 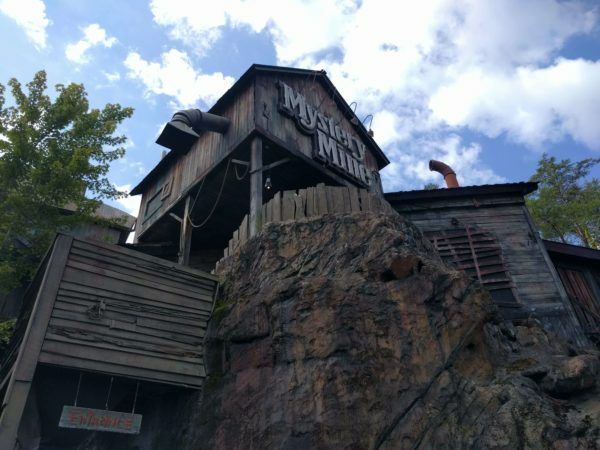 I did observe on Twitter that Blazing Fury reminds me a little bit of the Calico Mine ride if you threw in some drops, but I was expecting more like the Knott’s rides. Or maybe a haunted house or an interactive dark ride like we’ve seen pop up at so many parks these days (all the Justice League rides from Sally Corp, for example). 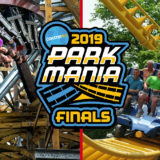 This seems like the thing Dollywood is missing. I’d have though that might be what comes next, but even Wildwood Grove doesn’t seem to be getting a dark ride. Well themed, but not really a dark ride. Without question the ride that I really enjoyed and knew almost nothing about was Mountain Slidewinder. Other than a few tips from readers before my trip, I had never heard of it. But after riding, it may have been my favorite attraction in the whole park. First, I can’t really think of any amusement parks that have a raft slide like this (not counting attached water parks). Second, those rafts went flying up the side of the ride WAY higher than I expected. 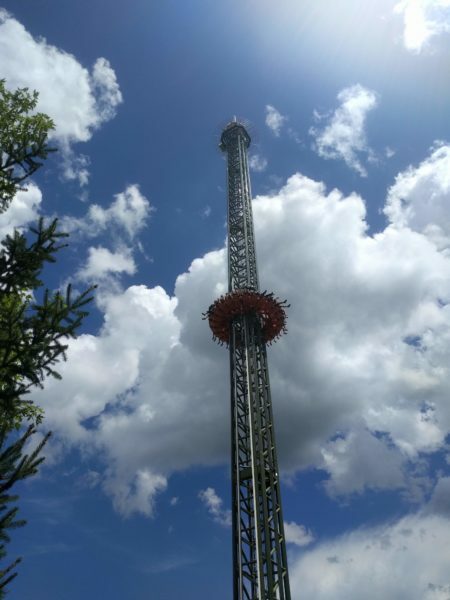 No wonder they tell you to hold on for the entire ride! This was definitely the hidden gem ride at the park for me, and I hope other first time visitors don’t miss it! 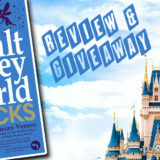 The best attraction I hadn’t heard of! 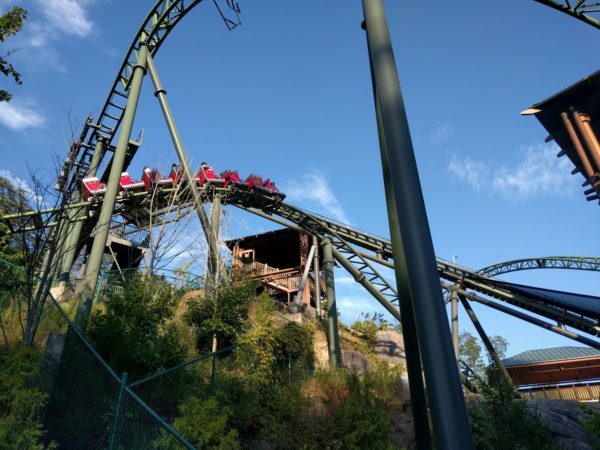 I’ll throw in here that I also enjoyed Barnstormer up next to Mountain Slidewinder. I particularly liked the writing painted on the roofs of the buildings you can only see while on the ride. Obviously the main disappointment is that Lightning Rod is down (possibly for the rest of the season). 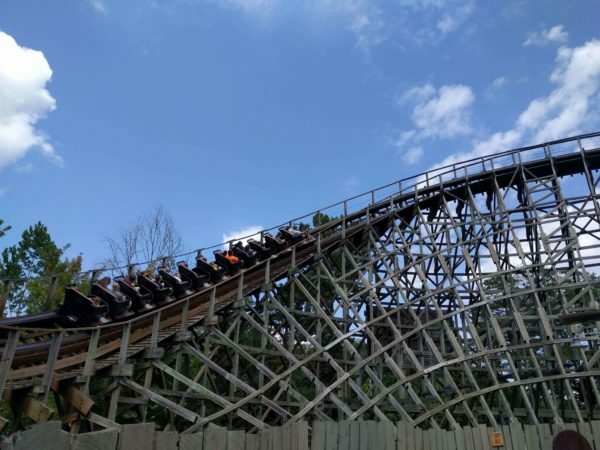 Luckily, the Dollywood coaster lineup was solid top to bottom, I found a great ride I’d never heard of, and it’s a pleasant park to hang around in. I guess I’ll have to try to make a return trip some day when Lightning Rod is back up and running. 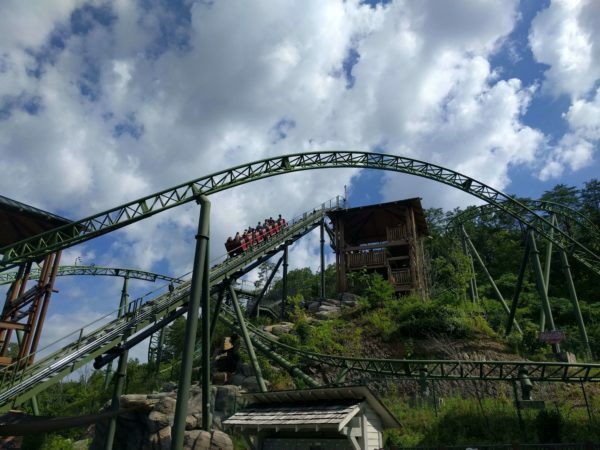 Oh, the one last thing I’ll mention (maybe this is thought seven): as a coaster engineering nerd, I loved watching both the rotating track on Firechaser Express and the raft return on Mountain Slidewinder. 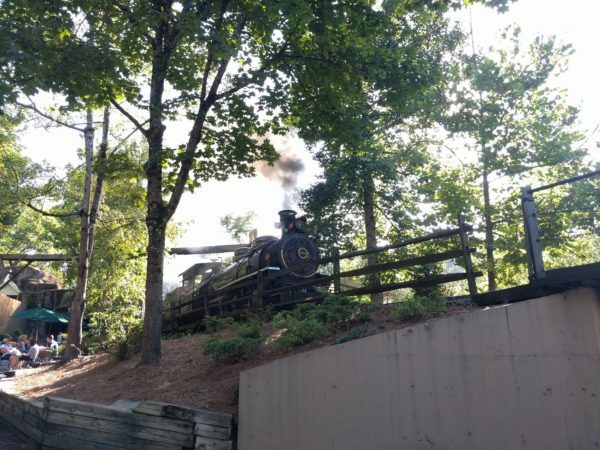 And the general engineering nerds will love that Dollywood Express is a real coal fired steam engine! I’ve got six more new parks ahead of me on my East Coast “new parks to me” tour. I’ll try to get up posts with a few thoughts for all of them pretty quickly after my visit (and more in the future). Check them all out here. I’ll probably be live tweeting a least a little bit from every stop, so make sure to follow us on Twitter as well if you’re interested in seeing more from my trip! 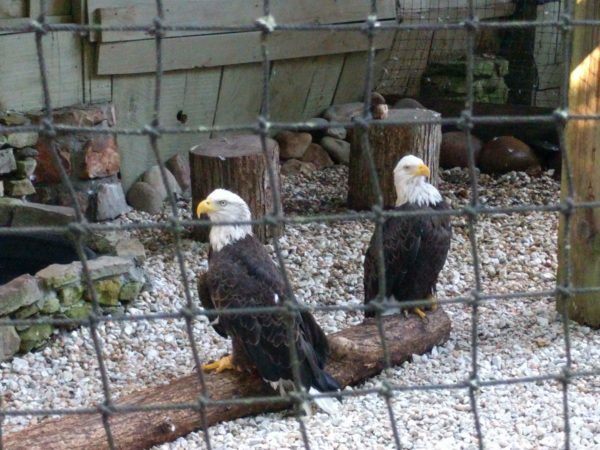 Finally, here are a few more photos from Dollywood.